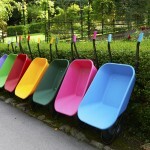 We have wheelbarrows of all sizes and purposes. Choose from nippy single-wheelers, stable two-wheelers or even four-wheeled workhorses. Suitable for a wide range of tasks around the garden, building site, stable-yard or farm, we stock models made of plastic or galvanised steel. 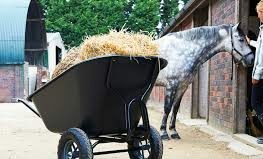 Our range of wheelbarrows can be viewed online or at one of our many stores throughout Norfolk, Suffolk, Essex, Cambridgeshire, Hertfordshire, Kent, East Sussex, West Sussex and Surrey. A selection of wheel barrows in a selection of sizes and colours.Ideal for gardening, construction agricultural and equestrian work.